BRUTUS® stands up to the toughest challenges and is ideal for rugged applications. BRUTUS lamps are designed with extra reinforcing braces that prevent electrical failure, arc tube dislocation, breakage and short life due to rough handling, vibration and wind-whipping. Save money and time in those tough to service locations. Choose BRUTUS to lower maintenance costs in rough service applications. 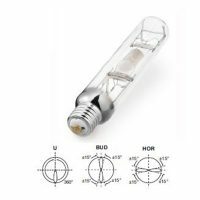 Multi-Metal Ace™ are retrofit Metal Halide lamps that operate on HPS ballasts. 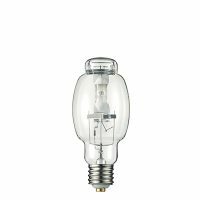 Clean Ace™ are high color rendering Metal Halide retrofit lamps that operate on Mercury CWA ballasts. 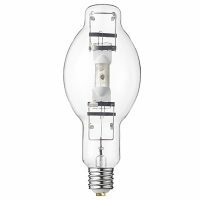 Clean Arc™ are high color rendering Metal Halide lamps that operate on CWA ballasts. 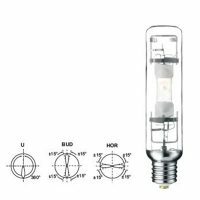 Watts (W) Bulb Base Product Code Product Description (link to tech bulletin) ANSI Code/Ballast Ref. Case Qty. Initial Lumens Mean Lumens Avg. Life Hours Color Temp. (K) CRI Burn Pos.